How to hire a Digital Marketing Agency in Los Angeles 2018? 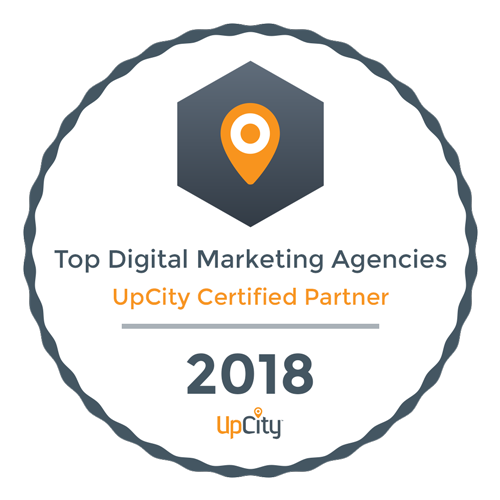 The ultimate cheat sheet in hiring a online digital marketing agency in Los Angeles in 2018. So you’ve decided you need some marketing help and you are ready to take your business to the next level. You have mentally cleared a budget in your mind, and realized that companies like yelp are just hemorrhaging through your hard earned dough and the second you decide you want to take a break from them, you fall off the face of the earth. Tack Media is a boutique digital marketing agency in Los Angeles, and serves California and Canada. We work with small, medium and Enterprise sized businesses. We work with our clients’ budgets, and there is no client that is too small for us. With this philosophy, we have grown over the past decade. Call (310) 620–1141 For a Live Quote With Tack Media. 10 Things to Look for when you are going through the bidding process for hiring an Online Marketing Agency. Decide your Short and Long Term ROI?—?Ask them what they can do for you, and to create a tailored plan that will entail what to expect in the short term and long term. Dedicated Marketing Representative?—?Ask them if you have a dedicated marketing and not sales representative that will be working on your account, and how often you have access to them. It is also important that you are not dealing with Salespeople, because often they don’t know the inner workings of the digital departments and will just act as the middle man. Look for red flags: Ask if there is a long term contract?—?Often larger companies will lock you in a contract, and just place you on auto pilot plan, because they know that if they are not driving results, they know they will retain you legally for the next 6 months. Ask if there can be a trial period, that is milestone based and not contractually locked in. Ask if they outsource their work?—?Often marketing companies will outsource certain parts and sub-contract to other companies, ask clearly what their internal resources looks like, to have a better idea of their org chart. Ask if you are speaking to a salesperson or a marketing person?—?Often you’ll speak with a sales person without getting the details that you need to make an educated decision, if you spend most of your time speaking to a sales person or an ‘account executive’ it’s important to understand that they are often not the person working on your technical strategy. Small, Medium, or Enterprise Pricing?—?A small business is a lot more conservative than a large business. The budgets differ, the goals differ, and the day to day absolutely varies. So ask if they have different pricing for different categories of business. If they do not, then it’s important to note that not all marketing companies in Los Angeles are created equal and they will prioritize one business over the other and this is bad. On the other hand, their services might be cookie-cutter and this is also bad. It’s important to tailor unique plans to each business based on their current goals and existing short-comings. Ask for references?—?It’s important to speak with other businesses like yours and ask them how their business has grown since they worked with this agency. Ask them if their business has grown and are they making more money than they are spending on marketing. Ask their specialty?—?Many digital agencies specialize in one business or another. It’s important that this business has an understanding of your marketing landscape and if they can gauge what your competitors are doing. More often you will speak to a sales person that promises the world, but they end up spending 3 months figuring out how your business works. Ask if they can tailor a plan to your budget?—?This shows if an agency will work with the resources that you have and not just squeeze you into their cookie-cutter plans. The best agencies will tailor a plan that fits your needs and help you understand that strategy up front before locking you in a contract. Don’t judge by their bids, judge by the results driven?—?Often this is the number one thing that businesses do wrong. They interview 5 different marketing companies, ask for 5 different proposals, and often thinking that all 5 agencies will render the same results. This is false. Bids give you an idea on the prices that the agency charges. One example is, we had a client that came to us that owned a chain business. They were not technically savvy and that is okay. They called a few marketing companies to take their bids, and one marketing company was a company that specialized in print, business cards, and offline cookie cutter marketing. The other business was like a full service digital marketing agency that offered personalized service and top tier multi-faceted marketing strategy with specialists focusing in technology, SEO, digital strategy, content marketing and a social plan. The other company made pens, and they had an in-house web designer who just happened to make cookie cutter websites, and was a one person operation. This small business took the bids, and said, “They are offering the same services that you are offering at half price” and we have decided to go with them. This is the #1 mistake that small businesses make when they decide to move forward with a marketing company based on price and not results driven. Months after they have depleted their yearly marketing budget and learned their lesson the hard way. These are a few questions that you can ask to have a better understanding of how that agency thinks. You might be another number that they are adding to their standard services and you risk working with a hands-off agency that has their best interest in mind rather than yours. It’s important to stand your ground and make the right decision on who to trust with your hard earned money. Tack Media Digital Agency in Los Angeles specializes in Online Marketing For Small Businesses and has the best interest for our clients in mind. Get a Free Non-Salesperson quote and a live analysis on your first call with Tack Media. We have the best interest in mind and don’t lock clients in long-term contracts that force you to work with us. We believe in a relationship-based partnership that is based on the foundation of trust and driving honest results.